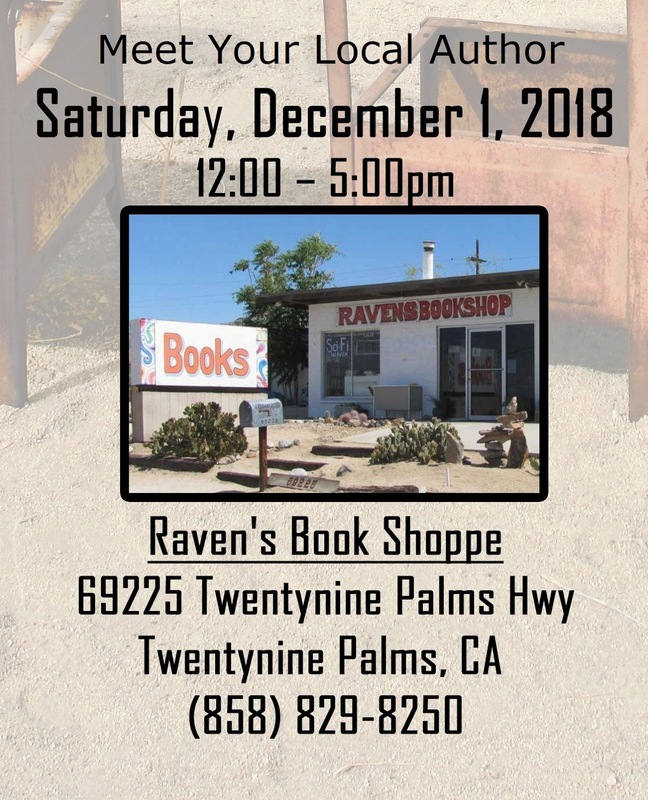 Cholla Needles Arts & Literary Library: December 1 - Meet Your Local Writers! Book signings, open readings, come and talk, buy books by fourteen local authors, and enjoy the weather with like-minded friends. The event is free, come for 10 minutes, or the full time. This is our final Meet Your Local Author event for 2018. Come join the fun!!! Our next event is an open reading on December 9 at Space Cowboy Books from 3-5. Our featured writer on December 9 is Dave Maresh, who has a book of poetry, and a book of short stories available. Watch for details next week. Click here to take a peek at past week's fun!